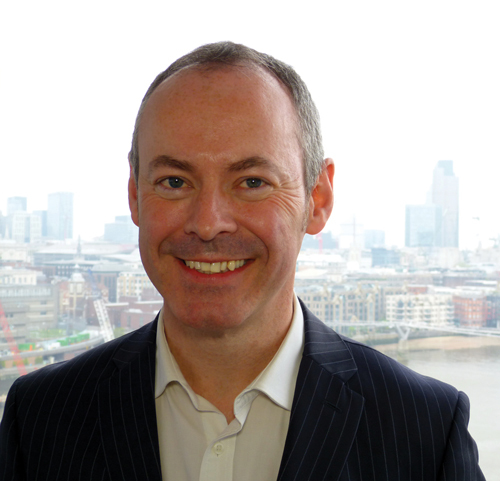 Gerry Dunphy is the Event Director for the worldwide security and fire portfolio at UBM which includes IFSEC International and FIREX International. PSI caught up with him a while before the doors open on the 2015 event to find out how it is all going and what changes are planned for the second year that the show will be held in London since its long run in Birmingham. How are the preparations going for the event in 2015? Swimmingly! We’re now only five months out from the show, the floor plan is 96 per cent sold out and it’s all coming together. We have taken on board all the feedback from visitors and exhibitors to ensure that IFSEC 2015 delivers exactly what they’re looking for right now. IFSEC is an evolving event and we’re constantly looking at how it can continue to exceed the industry’s expectations. Part of that has been negotiating preferential rates on travel, accommodation and speaking directly with the venue to ensure costs of food onsite are suitable for all budgets. Do you have any plans at this stage to change anything from the last event? We’ve conducted a significant amount of research with both our exhibitors and visitors to get their thoughts on what they like about the show and what they want to see more of. Identifying genuine innovation on the show floor has been a theme that really stands out and so we’re launching the Innovation Arena. This is an opportunity for visitors to see products and technologies that haven’t been seen elsewhere, whether that may be from one of the larger manufacturers or an independent solution provider. We know that IFSEC International is the place to come and keep up to date with the latest developments within the industry so we want to make that as easy as possible for the visitors. We’re also going to be introducing the Gadget Zone into the Security & Fire Installer Live feature that was a huge success in 2014. Again, research has told us that visitors want to get hands on with the products before they buy and this will provide the perfect opportunity to try out the biggest and latest range of products in one place. Another big change is that FIREX International will be located alongside IFSEC International in 2015. We’ve identified the increased number of installers looking to diversify into fire and with these two events being more closely aligned, it will make it even easier to give them the information they need to do so. It is also an opportunity to speak to experts that will be available to give advice on how to install products without damaging the integrity of fire protected materials. What was your opinion as to the success of the show in 2014? We had such a positive response at the end of the show in 2014 but the stand out success has to be the huge numbers of visitors. We saw more visitors, with bigger budgets and had an overwhelming level of support for the new venue at ExCeL in London. Overall visitor budgets have increased by 8.6 per cent, demonstrating the growth that the security industry is currently experiencing. Stand out trends from visitor interest included an increase in demand to see the latest innovation in: integrated security, intruder alarms, physical security and perimeter protection, which is how we’re shaping the 2015 show. We obviously had some learnings around navigation but those improvements have been made through additional signing and our interactive app that will be available for download soon. There was a concern that north-based installers might not travel to ExCeL, did the numbers reflect this? While it was only natural that there was a reduction in the proportion of northern based installers we saw more than a 45 per cent increase in installers attending from other regions of the UK. Investing our efforts into developing an area specifically for these visitors is one of our main focuses.